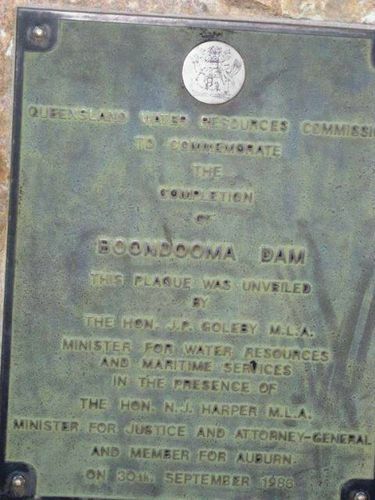 A plaque commemorates the completion of the construction of the Boondooma Dam. Boondooma Dam is a dam on the Boyne River in the South Burnett region of Queensland, Australia. In 1983, the dam was constructed across the Boyne River below its confluence with the Stuart River.